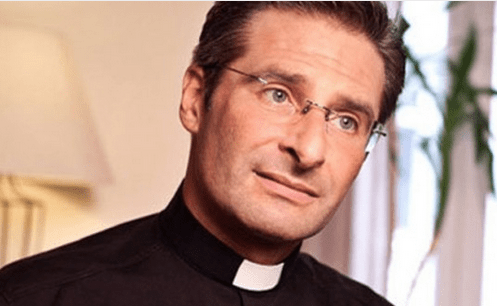 A Vatican priest who works in the office of the Holy See was fired today immediately after he came out and openly declared that he was gay and in a relationship. Monsignor Krzystof Charamsa was removed from his position at the Congregation of the Doctrine of the Faith, the Vatican’s doctrinal arm where he had worked since 2003, a statement said. Charamsa, 43, and a Polish theologian, announced he was gay and had a partner in a long interview with Italy’s Corriere della Sera newspaper on Saturday. He later held a news conference with his partner, a Spanish man, and gay activists at a Rome restaurant. They had planned a demonstration in front of the Vatican but changed the venue several hours before it was due to have started. The Vatican said Charamsa’s dismissal had nothing to do with his comments on his personal situation, which it said “merit respect”. But it said giving the interview and the planned demonstration was “grave and irresponsible” given their timing on the eve of a synod of bishops who will discuss family issues, including how to reach out to gays. So much for that kinder, gentler Pope. Can’t wait to hear the spin from the Vatican on this one. If all gay priests and church lay people came out at the same time the church would collapse. Not surprised in the least. Reject religion~! I know that’s it’s a sticky situation. He would have been fired if he were straight and with a woman. No pope is going to revamp everything. What do I think? I think that priest is HOT. I’ve known a few gay HOT priests in my time.